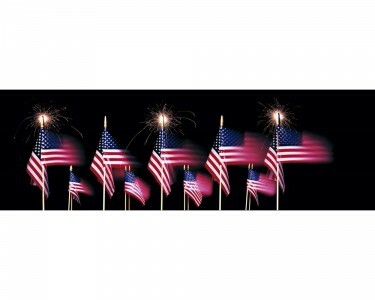 US Flags And Fireworks by Panoramic Images is a high quality fine art print. The paper size is 36.00" x 12.00" and the image size is 36.00" x 12.00". Hand made in the USA. 100% Satisfaction Guaranteed.